Exploring southern Chile is no walk in the park; however, if you’re up for an adventure, the region will not disappoint. Home to the Aysén and Magallanes regions, and their spectacular glaciers, snow-capped mountains, and shimmering lakes, the southern tip of Chile is every outdoor enthusiast’s dream location. Southern Chile is very sparsely populated, making it the perfect place to get away from your busy day-to-day life. It’s also great for exploring parts of the incredible Patagonia, which covers parts of Chile and Argentina, although its exact borders have not been defined. Be sure to visit the Queulat National Park in the Aysén region, which is home to the unique hanging glacier, Ventisquero Colgante. 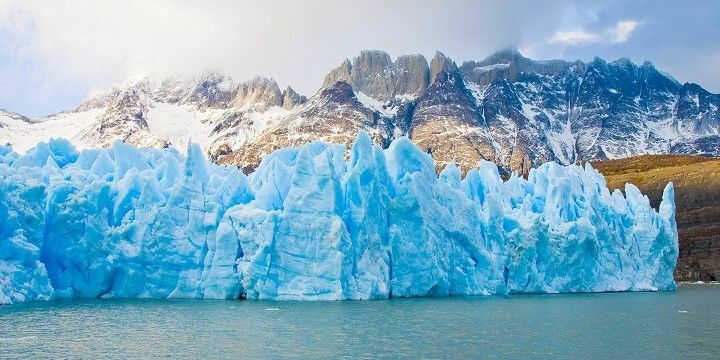 Head southwards to explore the Southern Patagonian Ice Fields, the southern hemisphere’s largest glacier, excluding Antarctica. 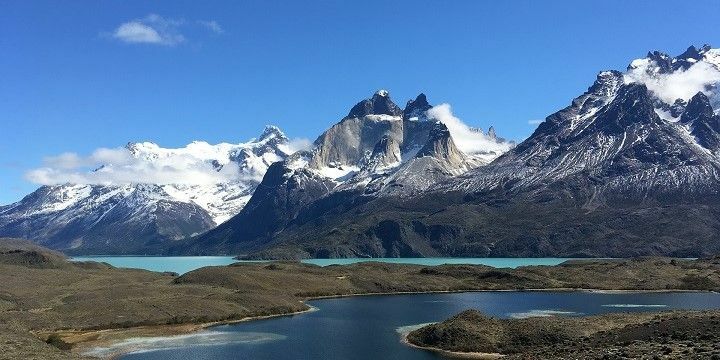 Don’t miss out on the Torres del Paine National Park, which is famous for its three pointed granite mountains (Torres del Paine), glimmering lakes, and rare wildlife in the golden pampas. Torres del Paine National Park is one of southern Chile's most beautiful parks. Hiking is a great way to immerse yourself in the beauty of this landscape, but expect treacherous terrain and tough hikes! However, seeing the vibrant blue glaciers, ice fields, beautiful fjords, remarkable rainforests, and snowy mountains is definitely worth the hard work. Alternatively, consider exploring the area by bike or car. There are plenty of organized bike tours, which weave in and out of the mountainous regions, as well as lots of opportunities to travel around the region by car. Opt for the Carretera Austral (Southern Highway, Route 7), which stretches 1,240 kilometers through rural Patagonia from Puerto Montt (Central Chile) to Villa O’Higgins. You'll see many glaciers in the Torres del Paine National Park. This spectacular route has become one of the most popular road trips on the continent, attracting many travelers every year. However, thanks to its awe-inspiring vastness, you’ll still be able to enjoy the serene landscape uninterrupted from time to time. When venturing further south, be prepared for any weather: owing to its coastal location, you may experience aspects of every season in just one day! If the seas are calm, don’t miss out on a boat trip from Punta Arenas or Puerto Williams to spot dolphins, penguins, leopard seals, and killer whales. 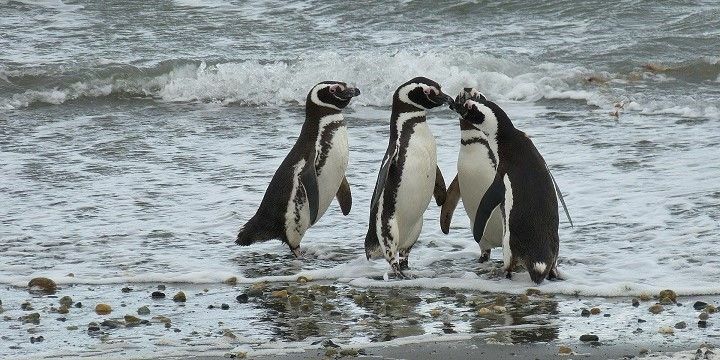 A colony of penguins lives just outside of Punta Arenas. Puerto Williams is also a perfect base from which to venture off into Cabo de Hornos National Park, consisting of the uninhabited islands of Tierra del Fuego (Land of Fire), the Wollaston Islands, and Hermite Islands. The Isla Hornos (Hornos Island), also known as Cape Horn, is famous for being South America’s southernmost tip. After hiking, cycling, and sailing, take a break in the Termas del Ventisquero, a collection of hot springs just six kilometers south of Puyuhuapi on the Carretera Austral. This village has less than 1,000 inhabitants, and is home to quaint restaurants and coffee shops, making it a truly peaceful retreat. If NextStop24 helped you to choose your next travel destination, we'd be very grateful if you’d search for your accommodation and things to do in Chile through these links. They're affiliate links, which means that we will receive a small commission for every booking made through them. There are no extra costs for you; you'll simply be helping to keep NextStop24 running. Thanks!